Performance art is defined as “a non-traditional art form often with political or topical themes that typically features a live presentation to an audience or onlookers (as on a street) and draws on such arts as acting, poetry, music, dance, or painting” (Merriam-Webster). Within New York City, performance art was everywhere. Artists took to the streets, presented their works in galleries, and held shows in museums all over the city. Artists like Tehching Hsieh spent years of his life dedicated to exploring New York City through the medium of performance art. Rope Piece, highlighted through this Downtown Archeology, describes his piece in which he was tied to Linda Montano for an entire year. They could never touch, but always had to remain tied together by a single piece of rope. 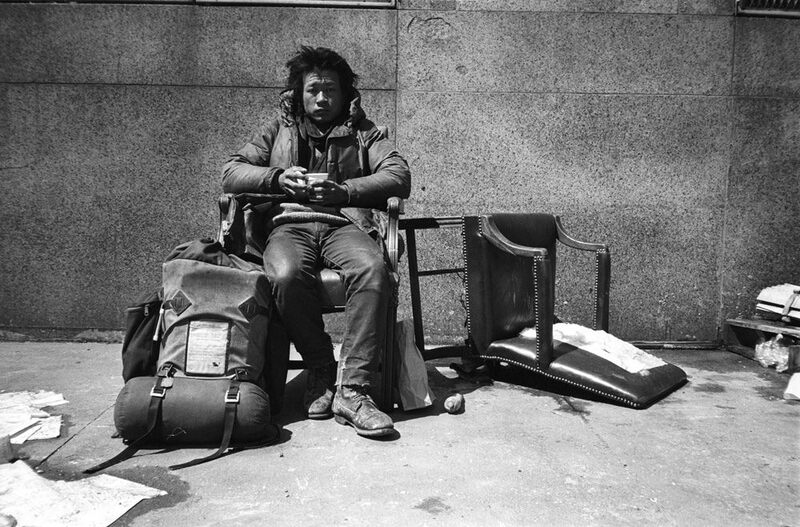 Hsieh also lived on the streets of the city for an entire year, documenting his journey through the seasons and concrete wasteland of New York. Throughout the 1960’s and 1970’s, performance art began to take over New York City. Artists like Andy Warhol ventured into the world of television and film, even going so far as to sponsor the Velvet Underground in 1966 in a staged event performance (Wikipedia). Even poetry transformed itself into a production. Places like the Nuyorican Poets Cafe allowed writers and poets to share their works, their emotions, and their thoughts through the medium of a shared performance. Poetry was no longer limited to a sheet of paper, but opened up and expanded upon through performance art. Many artistic mediums, including photography, used its contents to transcend into the realm of performance. Photographer Terence Sellers used her collection of photos entitled “The Dungeon Series” as a form of performance. The photographs, mentioned in this archeology, share a sense of performativity and sexuality. Each individual photographed is not just a passive participant, but rather an active performer in Seller’s work. Performance art still fills New York today. The Museum of Modern Art staged an entire exhibit dedicated to Yoko Ono, and highlighted specific performance art pieces. I was lucky enough to visit the exhibit, and had a chance to see the importance of performance art as a key symbol of physical expression within the New York City art community. Performance art isn’t just a dance, movement, or piece of work. It’s a physical and emotional expression that involves the entirety of the body. The artists shared throughout this archeology use performance art to explore New York, and themselves, in new and creative ways. “Performance Art.” Merriam-Webster, Merriam-Webster, www.merriam-webster.com/dictionary/performance%20art.